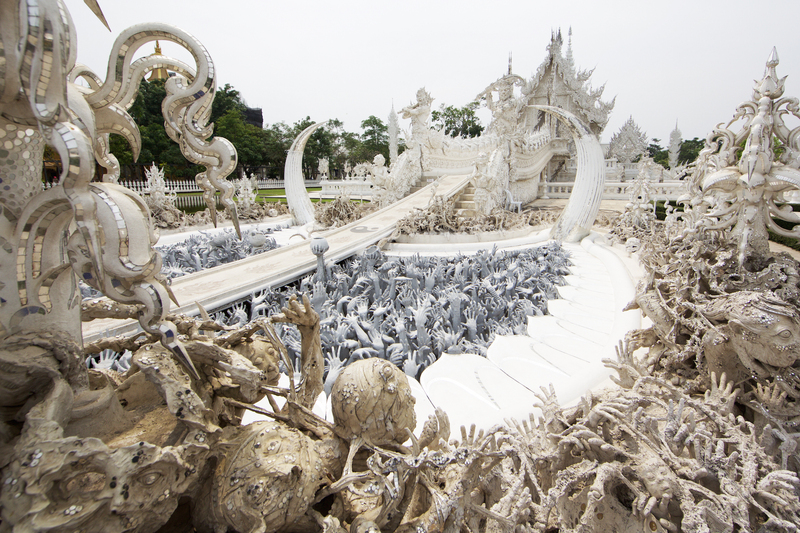 Chiang Rai’s White Temple, called Wat Rong Khun is a privately owned Buddhist temple and art exhibit in Thailand. 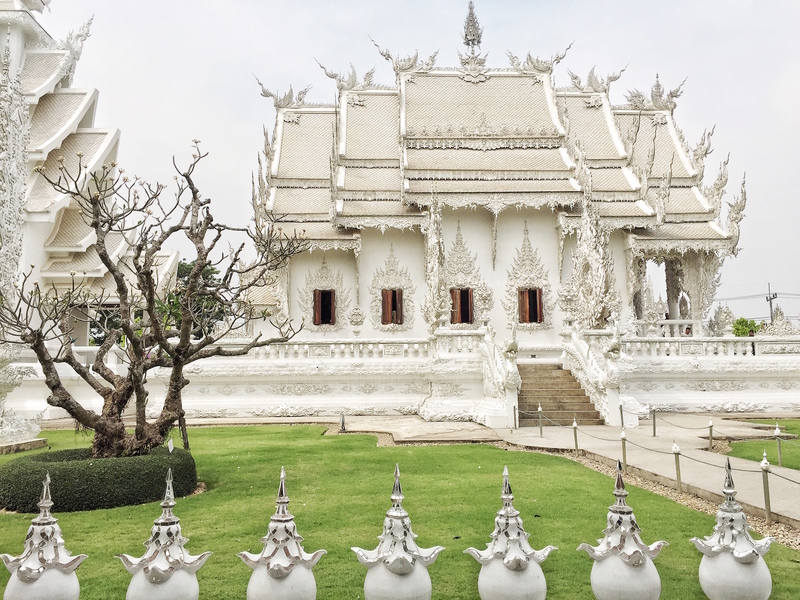 A local artist named Chalermchai Kositpipat built the temple with his own money and says the full project will not be completed until 2070. It will be composed of nine different buildings. 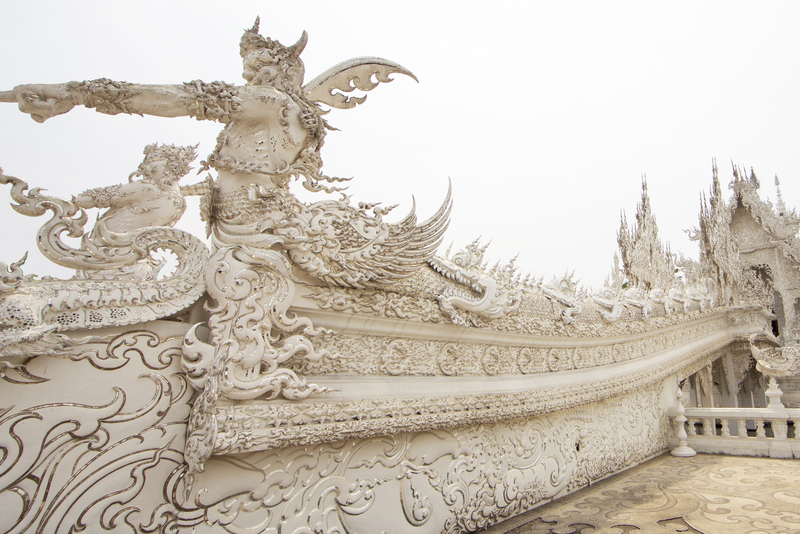 At the entry to the temple are two mythical creatures called Kinnaree which are half human and half bird. They are said to watch over humans in times of danger. An entry bridge runs over a small lake with hundreds of reaching hands below. The hands stand for man’s unrestrained desire for material objects – and the bridge above symbolizes the belief that the way to happiness is to forego temptation, greed, and desire. After one crosses over the bridge they arrive at “the gates of heaven” guarded by two creatures who are to decide the fate of the dead. 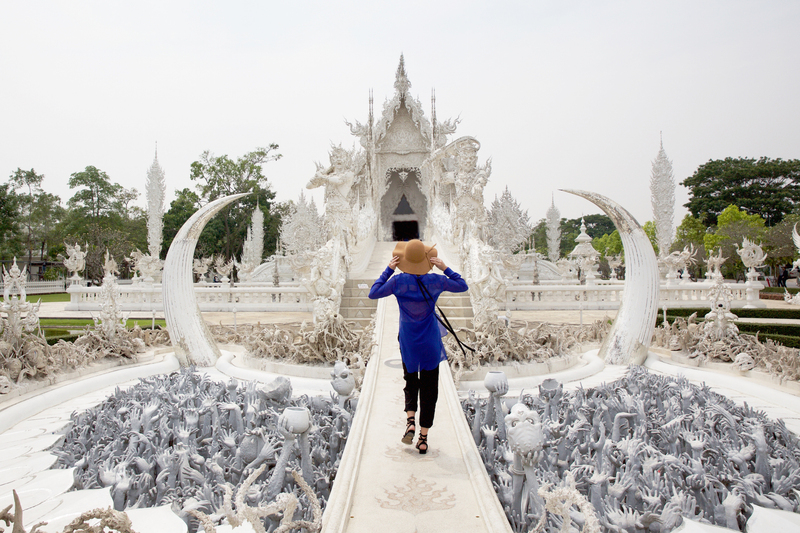 The main white building is known as the ubosot, and is covered in intricate sculptures and mirrored glass. 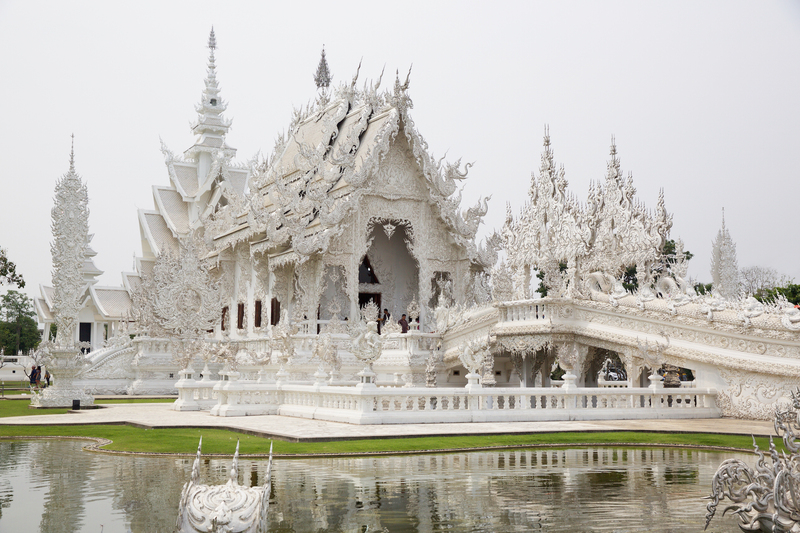 It was designed using traditional Thai architecture and varying shades of white. 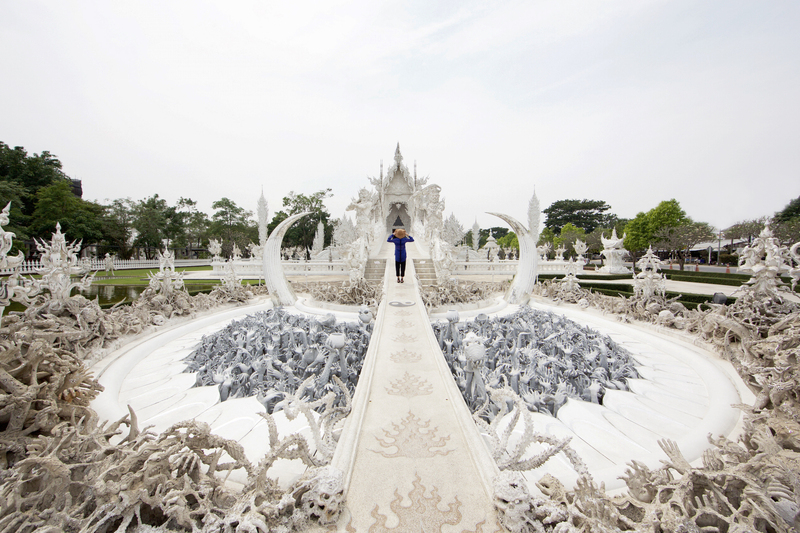 For people wanting to visit Chiang Rai’s white temple, entry is free of charge but small donations are accepted. Parking is available close by and there are restaurants as well as a few shops right outside of the temple for food and refreshments. 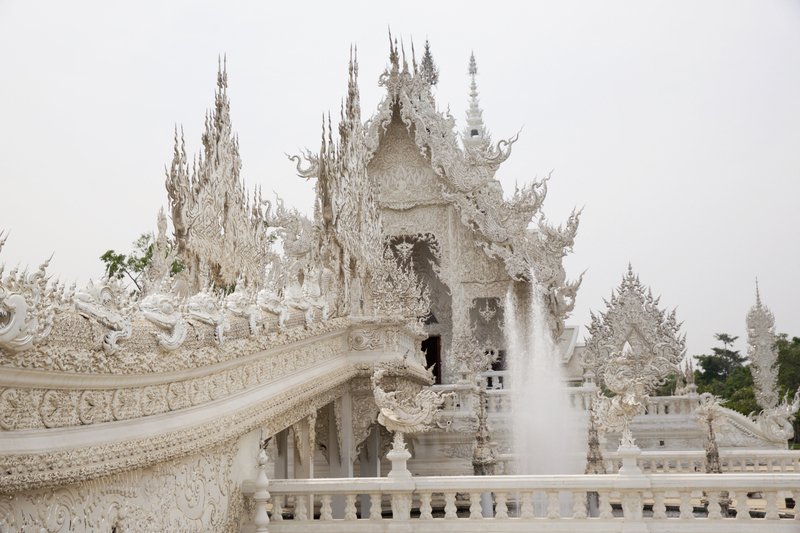 Next to the White Temple is an all equally mesmerizing all gold temple. 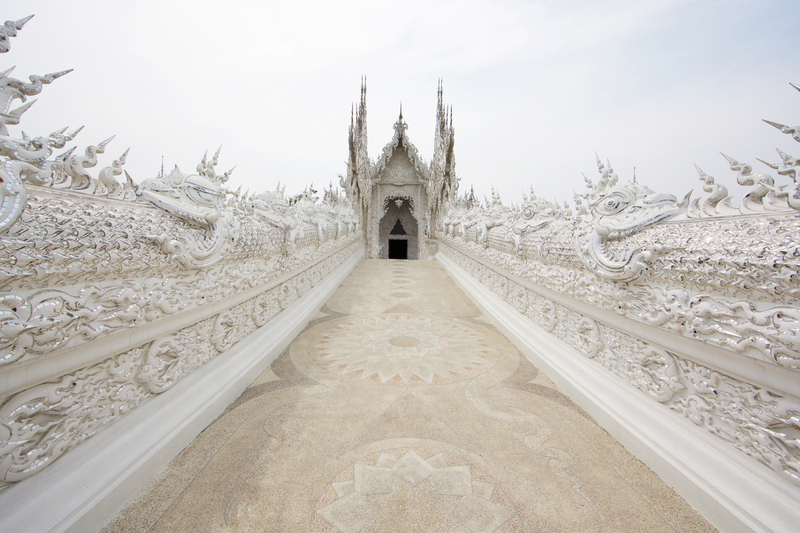 The gold temple represents the body, while the white temple represents the mind. 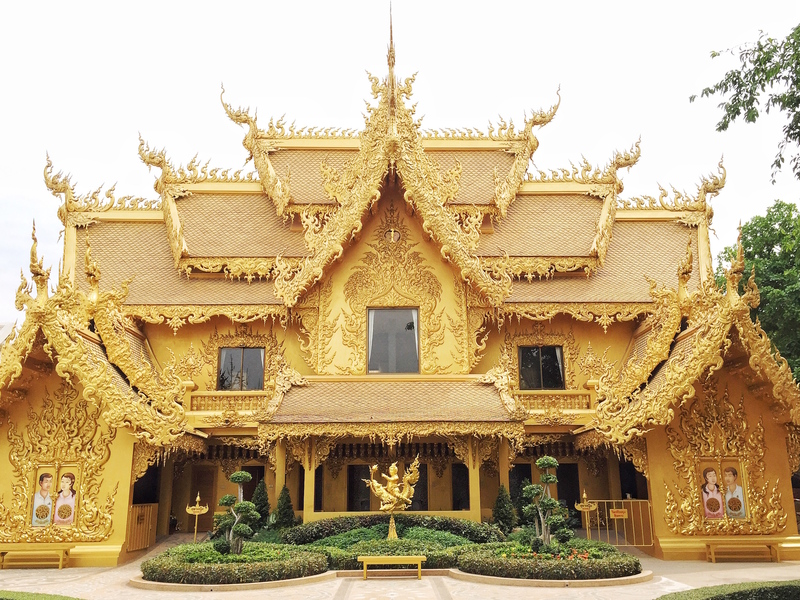 It is said that the gold temple is a symbol for one’s desire to have material things – a reminder that what they should be focusing on is controlling their mind to rid themselves of their worldly desires. Your photos turned out amazing! Stunning! I was JUST reading about this a few days ago and it quickly made it onto my bucket list! What a unique and beautiful work of art. It’s even cooler that it would be finished for over fifty more years! This is goals 🙂 Thanks for the inspiration Misha!